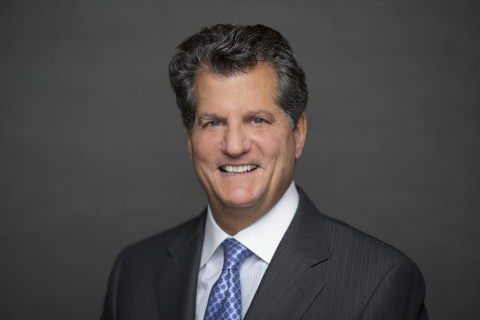 NEW YORK & BERWYN, Pa.--(BUSINESS WIRE)--The Chemical Marketing and Economics (CME) group of the American Chemical Society’s New York Section, and Trinseo (NYSE: TSE), announced that Christopher D. Pappas, Trinseo’s President and CEO, will receive the Leadership Award for Outstanding Corporate Reinvention on December 5, 2017 at the New York Metropolitan Club. Few companies in the chemical sector have tripled in value in the last three years. This achievement has been the result of Mr. Pappas’ visionary leadership and focus on safety, technology, financial discipline, and growth. As a global materials solution provider, Trinseo produces plastics, synthetic rubber and latex binders that are used in everyday products across a wide range of end-markets. Trinseo materials help improve fuel efficiency in tires, light-weighting plastics in cars for safety and strength, efficient LED lighting, life-saving chemical resistant medical devices, stringent requirements in food packaging and aesthetic home appliances. Pappas joined the company at its formation in 2010 when it was carved out from its former parent The Dow Chemical Company through a leveraged buyout with private equity firm Bain Capital Partners. Under Pappas’ leadership, the company established independent operation, defined a new vision and culture, dramatically improved its financial position, launched expansions and capital investments. In 2014, Trinseo was renamed from Styron, completed a successful IPO on the New York Stock Exchange, and saw a 250% increase in its stock price to date. The company also has an exceptional track record on employee safety, with an OSHA recordable rate of 0.07 – which places the company among the top five percent of chemical companies. Pappas has a 35-plus year distinguished career and proven operating experience in the chemicals and plastics industry, and is an accomplished leader of complex global businesses. Pappas started his career at The Dow Chemical Company in 1978. In 1996 he joined DuPont Dow Elastomers LLC where he was Vice President of Ethylene Elastomers and later Commercial Vice President. He joined NOVA Chemicals Corporation in 2000 and held positions as Senior Vice President & President, Styrenics; Chief Operating Officer; President and Chief Operating Officer; and finally in 2009 as President and CEO. He was named to lead Trinseo (formerly known as Styron) in March 2010, and assumed the CEO role upon the sale of Trinseo from Dow to Bain Capital Partners in June 2010. Pappas serves on the Executive Leadership Team and the Board of Directors of Trinseo. Pappas also serves on the Board of Directors for FirstEnergy Corp. and Univar Inc. Previously, he has served on the Board of Directors for Methanex Corp., NOVA Chemicals Corporation, and Allegheny Energy, Inc.
Pappas holds a B.S. in Civil Engineering from Georgia Tech and an MBA from The Wharton School of Business. He is a member of the External Advisor Board for Georgia Tech’s School of Civil & Environmental Engineering. He is married and has three children. The CME Leadership Awards™ honors leaders with distinction in harnessing the transformative power of chemistry to advance humanity. Past honorees include Len Blavatnik (Access Industries), Charles Bolden (NASA), David Cote (Honeywell), Jean-Pierre Clamadieu (Solvay), Dr. Roy Vagelos (Regeneron, Merck), Erik Fyrwald (Univar), Jon M. Huntsman (Huntsman) and Andrew Liveris (Dow Chemical Company), among others. Dr. Thomas Connelly, ACS CEO and Executive Director, will participate in the 2017 CME Leadership Awards™. Funds raised for the event will help advance exciting STEM programs including ACS Scholars and the first ACS-NASA Journey to Mars Symposium to be held on August 22-23, 2017 as part of ACS 254th National Meeting in Washington, DC. Trinseo's Chris Pappas recognized by the business, investments and technology group of the American Chemical Society New York Section for outstanding corporate reinvention.